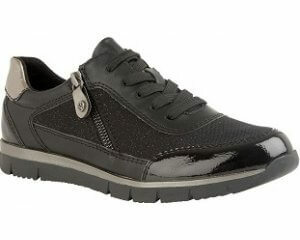 Geox Shuttle J8294B boy's trainer. It features a soft ombre mesh upper with contrasting stripes that add a sporty touch. The velcro fastening and bungee lace allows for adjustability and a secure fit when walking. 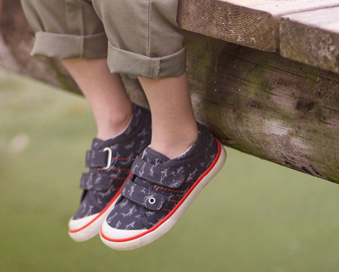 It also means the shoe is easy to put on and take off, great for little ones! The fully removable insole makes it ideal for those who wear orthotics. 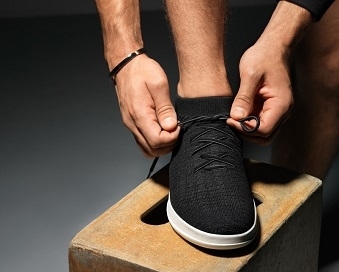 As with all Geox they have a perforated sole with a resistant, breathable and water-repellent membrane, allowing natural temperature regulation and creating a micro-climate inside the shoe that leaves the foot dry throughout the day. They also feature flashing lights along the sole, as well as an on/off button.